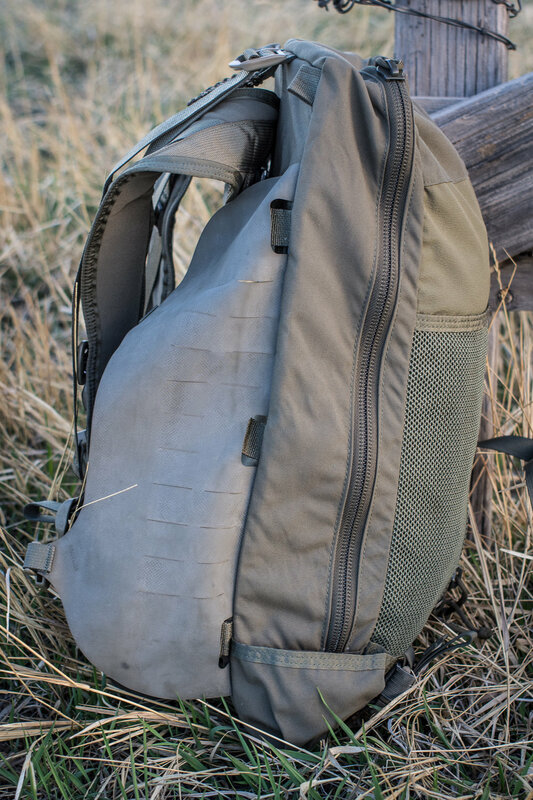 When the Hill brothers went to work on designing the Connor, they had in mind a large pocket for use docked on their larger internal frame packs that could additionally be set up as a stand alone day pack. The Connor is the offspring of this union, and it is a good one. The pack is a tall and shallow, preventing it from snagging on brush in either configuration. In pack mode, it features a HDPE frame sheet, single aluminum stay and HPG's excellent shoulder harness. There is a grab handle atop the bag and dual lash straps on the bottom. There are two wings on the sides of the Connor made from Hypalon that are designed to be used in affixing more gear to the face of the pack. These wings are also laser cut to accept small PALS pockets and can be stowed under the pack when not in use. Additionally, the Connor has a shallow bucket type pocket on each side to capture items like tripod legs or trekking poles. The face of the Connor features two large mesh slip pockets and a center zip pocket made from stretch material to accommodate bulky items. The pack opens via a panel zipper that gives the user a view of the back wall, which has been constructed from First Spear's excellent 6/12 material with the fuzzy side towards the interior of the bag. This allows users to configure all manner of PALS or hook backed pouches for further organization. 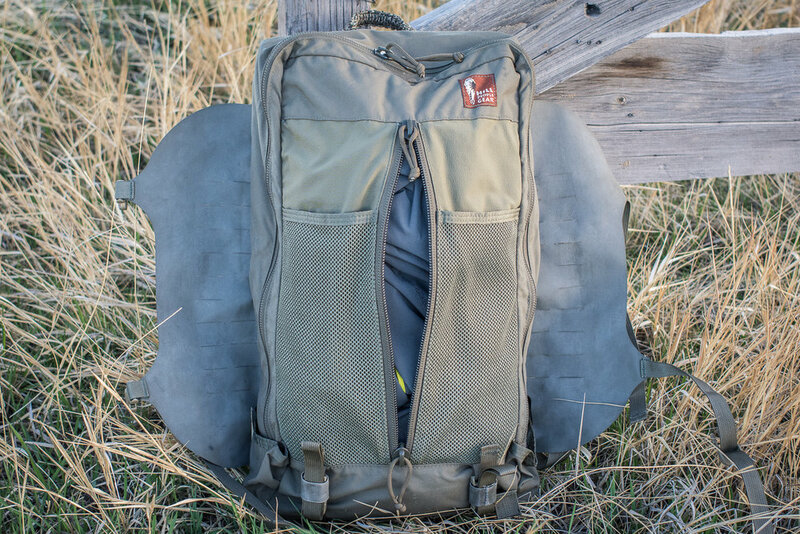 The Connor serves well in the roles it was designed, but many find it really well suited to day pack uses. As one would expect, it carries like a dream given HPG's expertise in load carriage.